The Ad Hoc Committee to Save Keiro will hold a community “speak-out” this Saturday, Jan. 23, from 1 to 4 p.m. at Centenary United Methodist Church, 300 S. Central Ave. (at Third Street) in Little Tokyo. 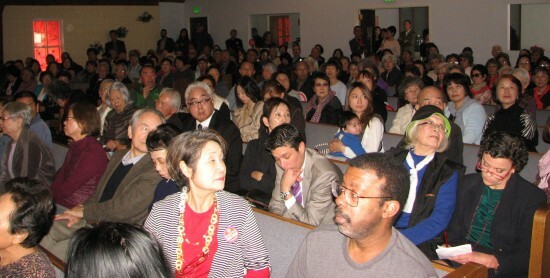 Members of the public will have the chance to voice their opinions about the pending sale of Keiro Senior HealthCare’s facilities — Keiro Nursing Home in Lincoln Heights, Keiro Intermediate Care Facility and Keiro Retirement Home in Boyle Heights, and South Bay Keiro Nursing Home in Gardena — to Pacifica Companies. Whereas the committee’s previous events focused on informing and rallying the public, this meeting is meant to give community members an opportunity to share their thoughts. The Ad Hoc Committee has also invited Keiro administrators and politicians to attend the speak-out. Organizers said that because California Attorney General Kamala Harris did not call for a public hearing before approving the sale, all opinions expressed at the meeting will be recorded and sent to both Keiro’s administrators and the Attorney General’s Office. For more information, contact Jon at (310) 327-7790, ext. 222 or Traci at (310) 538-4993.